Bring out your cats' true nature with this tree! 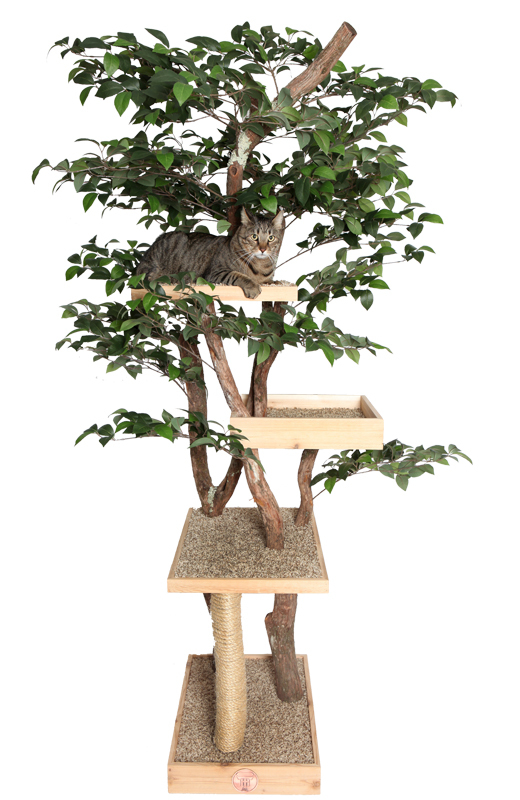 We all know cats like to climb and they will definitely love climbing this Feline Tree House! This House is 4 stories of pure fun! 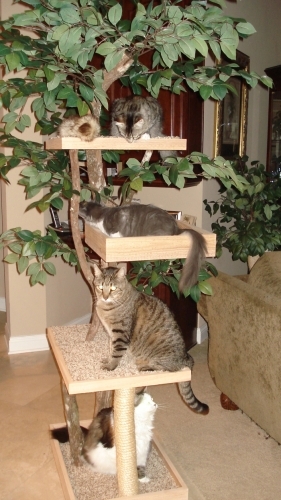 Your cat will be the envy of the neighborhood with this Feline Tree House. 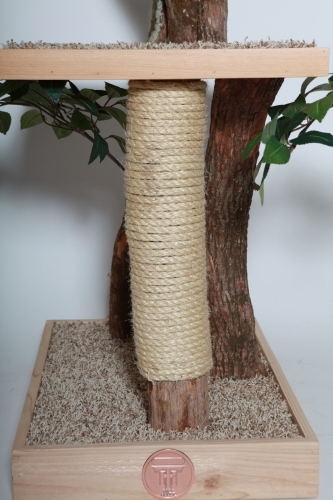 It even has a built-in scratching post. Shipping $165.00 in the 48 contiguous United States. Upgrade to in home white glove delivery for an additional $50. Please visit the upgrades tab to add this to your order. Please email for shipping quote to Canada. Please include your complete shipping address for quote. The box is very large. We recommend 2 people be home to accept delivery. For an additional $50, you can add white glove delivery and the Tree will be brought into your home for you. We recommend this if there are not 2 people at home to take delivery. Each Tree is hand crafted to order. Please allow 6-8 weeks for the "growing" of your tree before it is shipped. Visit the upgrades tab to add additional items to your tree such as a personalized medallion, extra branches or extra foliage.